Our software gives you two ways to build barcodes into your Word projects - labels, package designs, forms, stickers, documents - quickly and easily. 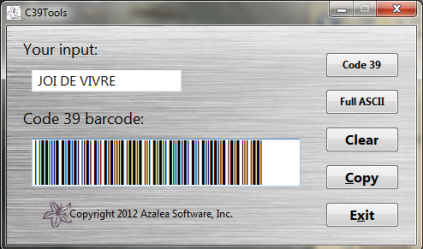 Use the barcode wizard that comes with your Azalea software to make one barcode at a time, then copy and paste right into your Word project. If you need to create tens, hundreds or thousands of barcodes, our software comes with Excel macros that make it simple. 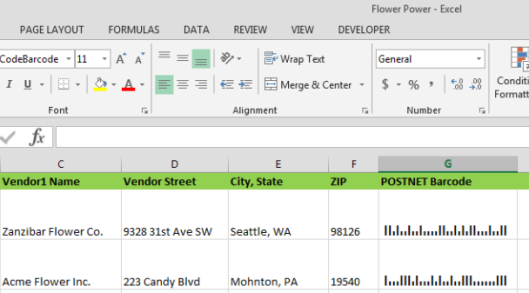 Once your data is barcoded in Excel, importing to Word is as simple as doing a 'mail merge'. Whether you're printing UPC labels for your products, or Code 128 or Code 39 barcodes for your inventory, we've got you covered.